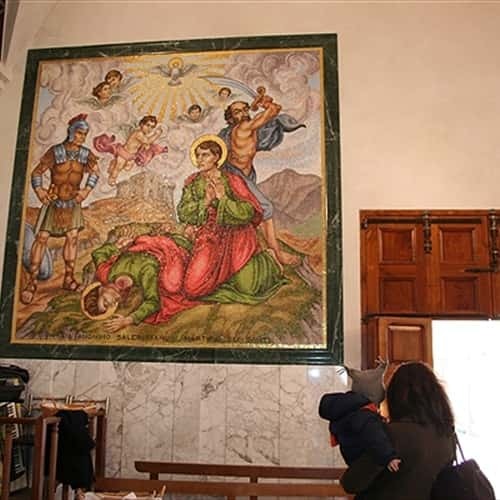 The origins of the deep devotion of Ravello's people and of all citizens of the Amalfi coast for the Saints Cosmas and Damian date back to the XII-XIII century. 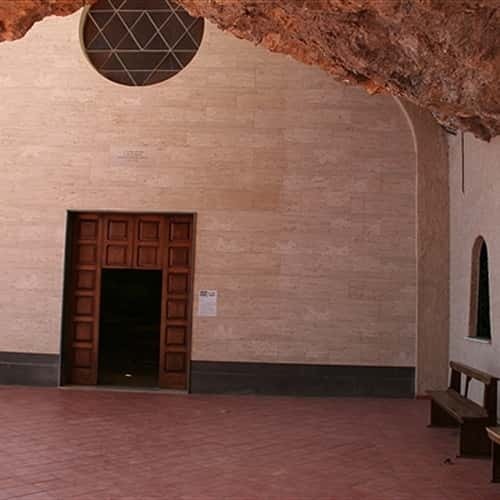 The Sanctuary, infact, is mentioned both in a document of 1397, preserved in the archives of the Metropolitan Curia in Amalfi, and in another one of 1425, preserved in the parish archives in Ravello. The two brothers, doctors and Saints were born in Arabia and practised the art of healing in Syria. They accepted no payment for their services, which led them to be nicknamed anargyroi (The Silverless); for this reason thy converted many people to the Christian faith. They suffered martyrdom by decapitation in 303 a.D. under Diocletian's Empire. The Sanctuary in Ravello, perched on a 350 meters high rocky spur of Cimbrone, was built on an older church, became too much small to accommodate the large crowds of faithful. 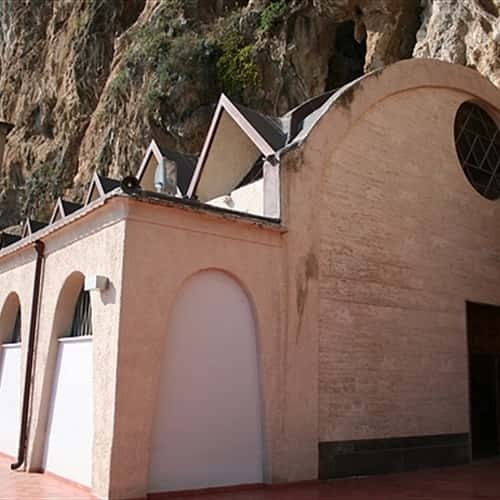 The new Sanctuary was blessed on September 27th 1965 by the Archbishop of Amalfi Mons. Angelo Rossini among a moved crowd coming from every corner of the Campania region. 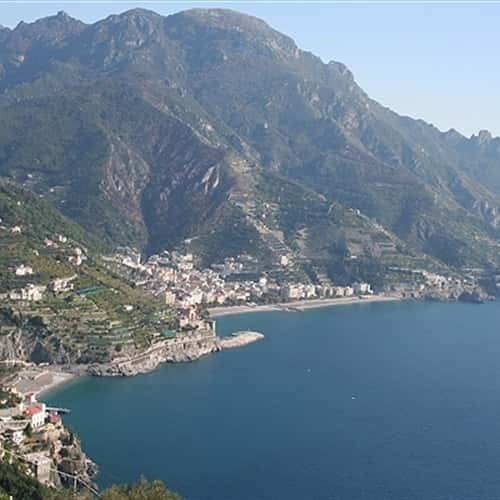 Outside the Sanctuary there is a wonderful panoramic terrace overlooking the sea of the Amalfi coast. 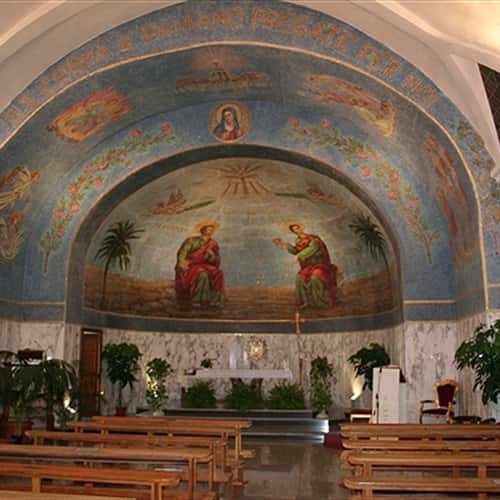 The interior has a single nave and a beautiful apse decorated with a bright mosaic, portraying the Saints, two angels with the palm of martyrdom and the Holy Trinity. A mosaic decoration, representing Our Lady and scenes of the martyrdom of the Saints Cosmas and Damian, characterised the triumphal arch. Finally other two mosaic panels, representing scenes from the life of the Saints, taken from famous masterpieces by Beato Angelico and Anonimo Salernitano, were realised between 1196 and 1997. 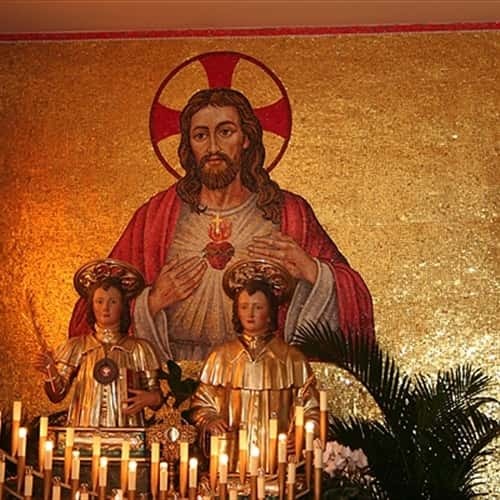 The chapel on the left side of the main altar preserves the miraculous statues of the Saints Doctors. 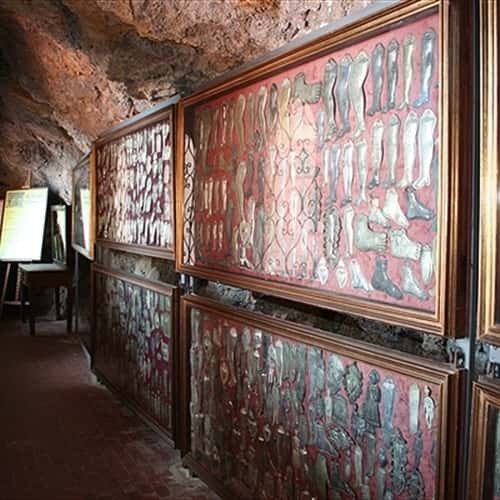 A large number of votive offerings, some of which dating back to the XVII century, are exposed in a small building under the rocky spur, outside the Sanctuary.